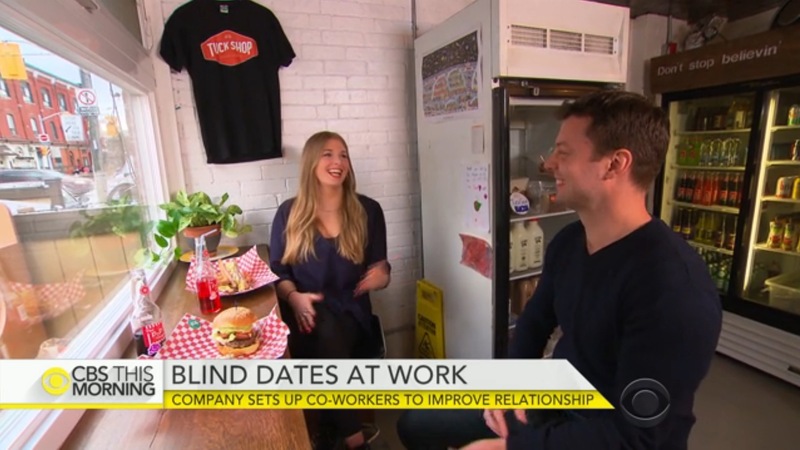 We are honored to host FreshBooks’ Blind Dates, which was profiled on CBS Morning today! FreshBooks has been organizing blind dates with its employees, not for romance, but to connect employees who may not know each other. Some of their blind dates take place at our shop, so we were happy to offer up our space for FreshBooks again when CBS This Morning wanted to profile them about this awesome initiative.